The unconventional marketing stunt continues. Two weeks ago, we wrote about how Airbnb was partnering up with IKEA to offer three “unique” rental opportunities -- at an IKEA store in Australia. 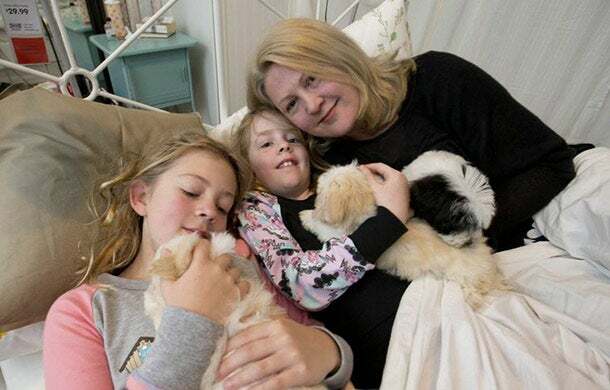 On Sunday, as promised, three Australian families (selected from over 1,000 applicants) spent the night in themed showrooms -- complete with price tags -- at an IKEA just outside Sydney. Now, we have photos from their stay – and as with all good marketing stunts, puppies play a prominent role. In lieu of an alarm, the families received different unconventional wake-up calls, including puppies (! 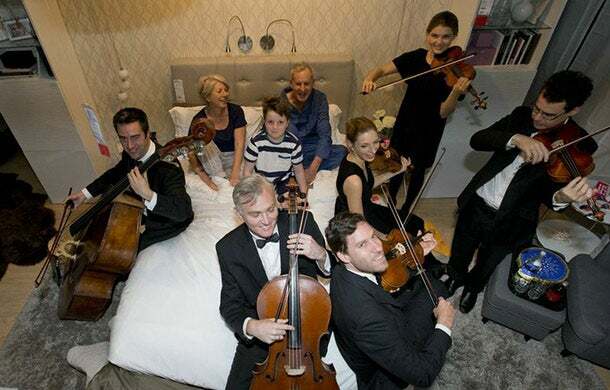 ), a string orchestra and breakfast in bed. It's pretty ridiculous and the puppies are ridiculously cute. Was the Steve Harvey Miss Universe Mistake a PR Stunt?